The legal cannabis market is poised to grow to up to USD 39.4 Billion by 2023. The market size driven by the two primary reasons – legalization of marijuana and growing medical applications – has grown to reach a point where it’s not just the consumer base that is rising but also the market players. The revenue graph that the Cannabis market is generating is enough for entrepreneurs to look into the domain as a prospective industry to invest in for high profit. 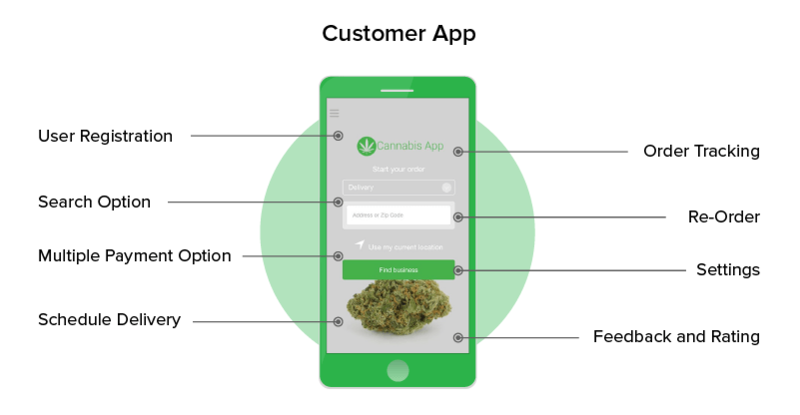 Now before we look into the features, medical cannabis delivery app development cost of cannabis app development, and ways to establish the business in the domain, let us first look into the market space of Cannabis. The market size that legalized Cannabis is witnessing is first backed by the count of countries that have now opened up to the idea of legal marijuana and the secondary because of the strong factual belief that more and more countries will soon be joining the list. On that note, let us look at the places where dealing in marijuana or cannabis is legal. 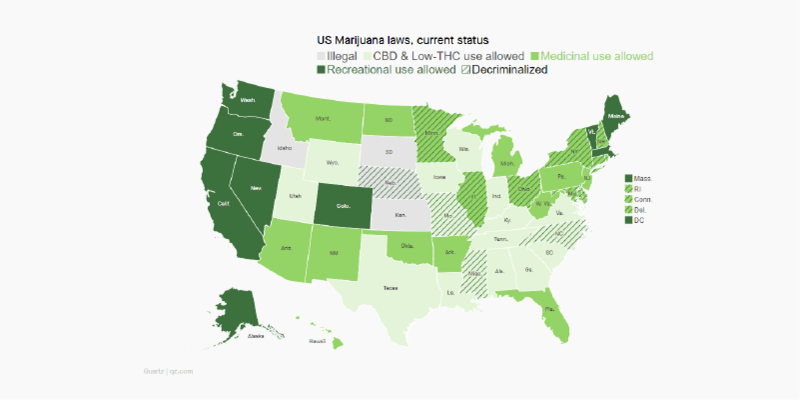 Although, as you can see in the map above, the areas where cannabis is legalized at the current time, is fairly restricted the other side of the coin of the fact is that the number of countries now opening up to the idea of legalizing marijuana is slowly increasing. And increasing with it is the number of players who are now entering the segment. While Eaze has created a special place for itself in the weed delivery app industry, there are a number of other brands that are working towards offering the same level service in the countries and states where growth and consumption of marijuana is legalized, with the help of experienced On-Demand Medical Marijuana Delivery App Development Company. All the different players of On-demand Medical Marijuana Delivery Mobile app market are working in one or the other business model. While it is up to you which model you wish to expand your business in, there are three commonly used business models that brands generally venture in. Under this business model, you can focus your energy on simply being a delivery partner. You can work around the delivery of order made and items delivered. Here, you can start your own store and also keep the delivery part under your forte. This way, you will earn from both the store and the delivery charges, while expanding your business capabilities. Running in the line of Amazon and eBay, you can start your business as an aggregator which brings stores and customers in one place. So, what your role would be is that you will be managing the order and delivery of cannabis along with managing the groundwork recording of inventory that stores have. 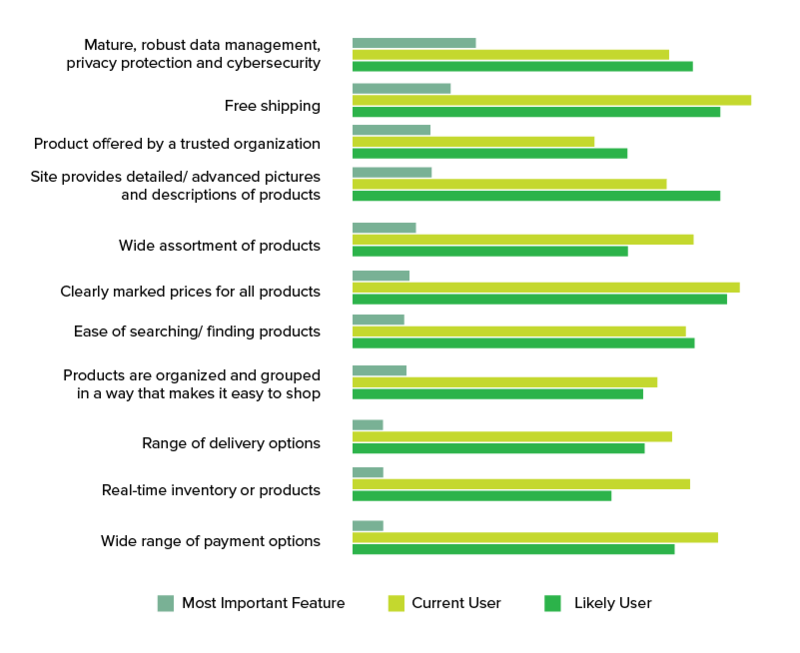 Now, irrespective of which business model, out of these three most commonly adopted ones, you plan basing your cannabis delivery app on, the list of features that are in many ways a list of must-haves are something that would be omni-present across all. When you invest in a Medical Marijuana Delivery Mobile app development, you invest in not one but four application versions, as your On-Demand Medical Marijuana Delivery App Development Company would tell you. So, let us look at the versions individually. The registration process should be easy to follow for a customer. While they should not be asked to follow multiple lengthy processes to enter a mobile app, they should also not be admitted inside the application without proper identity and age check. A basic form asking the name, email id, age, etc. can come in very handy. Along with giving the option of selecting a product from a wide range of offerings in the application, you should give your users the facility to have a comprehensive sort and filter option as well. You should integrate multiple modes of payments in your cannabis delivery application. While making payment through debit and credit card, PayPal will be a good must-have, it is cash on delivery that you should most definitely add as a mode of payment in the application. Customers should be given the facility to schedule the delivery of cannabis in their preferred time and availability. You should make use of APIs to give live tracking functionality to the customers. They should, at any given point in time, have a clear idea of where their order has reached. And in case, the delivery is being made through a dispensary that is in the same location as that of the customer, you can also think about offering them a live tracking option. Since most of the orders that are made under a legal jurisdiction are meant for medical purposes, there is a high possibility that the customers would demand it again. Thus, a reordering feature will be of immense help here. Customers should be given a separate section to manage their profiles, select the mode of payment, add and edit addresses, work around the app notification, etc. Simply, to make the app journey easy. The sign of any good service is the rating and review that it gets. And you would only be able to judge how well your service is getting accepted in the market after you give a rating and feedback option to the customers to rate the product that they are getting. A store profile should contain a series of information about the store/dispensary. Information like – address, the name of the owner, contact info, photo of the store etc. Now, usually businesses keep the ability to edit profiles with themselves, but it helps if the store owner handles it on their own. In case you are planning to appoint a delivery person to the dispensary to send their weed, the store managers should be given the ability to get in touch with the delivery person who would be responsible for taking cannabis from them to the end customers. A proper facility should be given to the store manager to contact the application’s admin or parent company in case there is any query or doubts surrounding the service that they are offering. Before you pass a customer’s order to the specific dispensary, it is important to know if at all the good is present in the dispensary. 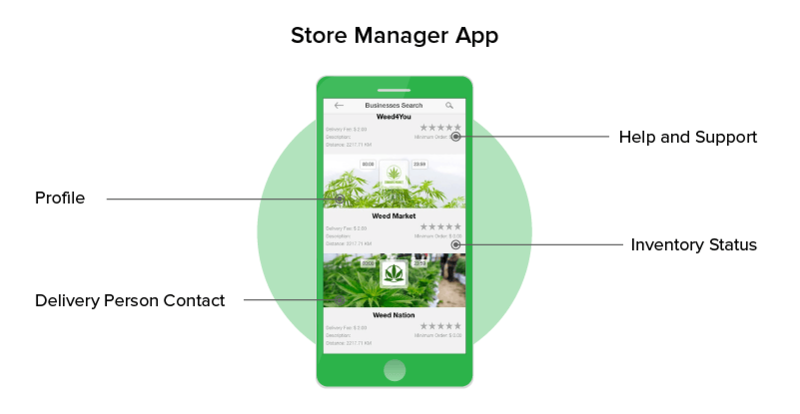 Noting this, it is important to have an inventory update feature in the store’s app version so that the manager can update the status of cannabis availability with them. The drivers should be given the facility to manage their profile and put in information like name, address, upload their identity proof, contact information, etc. 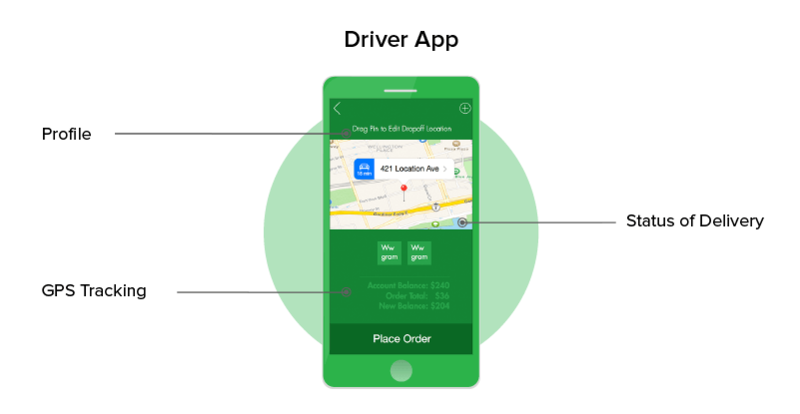 Driver’s application should have a proper GPS integration to show them the route and exact address of the customers and the stores, where they have to make and take the delivery from. Drivers should have the option to update the status of delivery – En Route, Arrived, Order Delivered, and Payment Received etc. Admins of the application should be given a dashboard from where they can manage, control, and view the whole activity happening on the platform in real-time. The feature would allow admins to edit the listings, change the pricing mentioned on the page, remove the listing if fishy, etc. Administrators should be given the functionality to keep a track of all orders made on the application, track their status, queries related to the order, the payment scenario, etc. 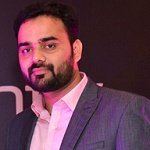 Admins should be given information about the customers and their feedback, order history so that they are able to analyze and handle the whole reselling engagement process. Admins should be given the complete access to view, comment and take action on the feedback and customer/stores’ reports and blocks. 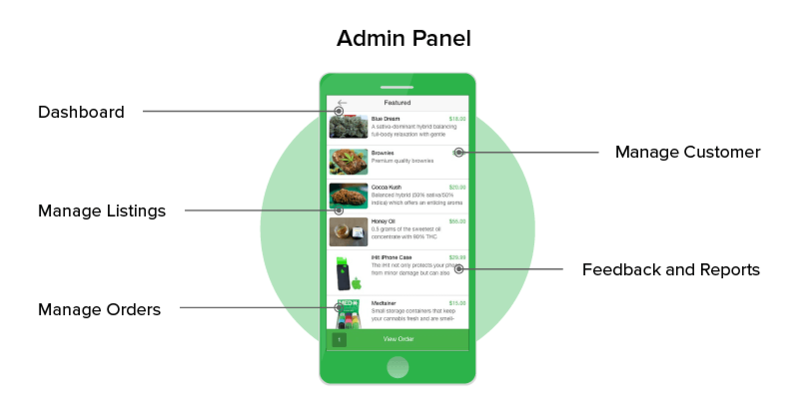 Now that we have looked at all the delivery of medical marijuana app key features that come attached with the Medical Marijuana Delivery Mobile app development process, it is time to answer one of the most crucial questions – What is the Cost of Cannabis Delivery App Development. Let us attend to that now. Noting that the number of versions in a usual cannabis delivery app is one more than your other on-demand delivery apps like suppose UberEats, the medical marijuana delivery app building cost also increases. If you are going with the basic features, as mentioned in the article here, the Medical Cannabis Delivery App Development cost range will come somewhere around USD 40,000 to USD 50,000. But, then again, it is only a rough estimate which would vary from one peculiarity of your demand to another. 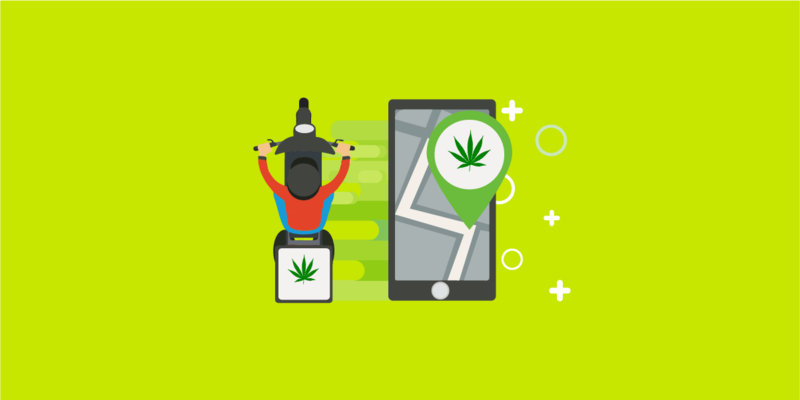 With this, we have seen it all there is to know to get you started with the development of Cannabis delivery application and the range of cost of cannabis delivery app development. With everything you need to know to get started now attended to, it is now time to part ways by leaving you at something of value – The ways you can make your business stand out from the others in the industry. Now that you have seen it all – how to become number one and how much it would Medical Marijuana Delivery App Building cost you, the next and last thing left for you to do here is to get in touch with our mobile app development team and get started with your journey.